All our 6-day Tanzania wildlife safaris, tours, holidays and travel packages, specifically include the Ngorongoro Conservation Area and the world famous Ngorongoro Crater National Park in Tanzania. This specific Africa safari and travel itinerary has been designed for visitors with more time on hand for a longer safari or travel tours. It specifically include the Tarangire National Park and have been designed to offer you a total Tanzanian northern circuit safari experience, while keeping your non game-viewing travel time to a minimum.These unforgettable Tanzania safaris, tours, holidays and travel packages will take you to Tarangire National Park, which features some of the greatest concentration of game in Tanzania – second only to the Ngorongoro Crater – but less crowded and unspoiled – possessing a wild and unkempt beauty. These safaris or holidays travel tours will also take you to the Lake Manyara National Park, one of Tanzania’s most dramatically located wildlife areas, consisting of a shallow but huge soda lake, located at the foot of the Great Rift Valley’s western escarpment. The size of the park makes it perfect for a one-day game drive and is notably famous for it’s tree-climbing lions. These safaris or holidays travel tours will also take you to the Serengeti National Park, a massive wilderness of 14500 square km, where every day brings a new landscape and a new adventure. Finally, your African safari tour will also take you to the Ngorongoro Crater and the Ngorongoro Conservation Area in Tanzania, featuring one of the highest concentrations of game and arguably the densest population of predators and carnivores in Africa. Here you will witness an amazing spectacle of Tanzania wildlife – inside a self-contained world teeming with animals. Day 4: Full Day Serengeti National Park Game Drive. Early in the morning after breakfast game viewing drive along the Sogore River Circuit, this loops into the plains south of the Seronera River, and which is good for possible Lion, Thomson gazelle, topi, ostrich and cheetah sightings. The Visitor Center close to the Serengeti Seronera Lodge and public campsites is well worth a visit after the morning’s game drive. This nicely designed center offers some interesting wildlife displays as well as a gift shop selling information leaflets and maps of the area. The center also has a shop where cold drinks and snacks can be purchased, as well as a picnic area and information trail up and around a nearby kopje. You will enjoy a relaxed picnic lunch at the center in the shade of the giant acacia trees. 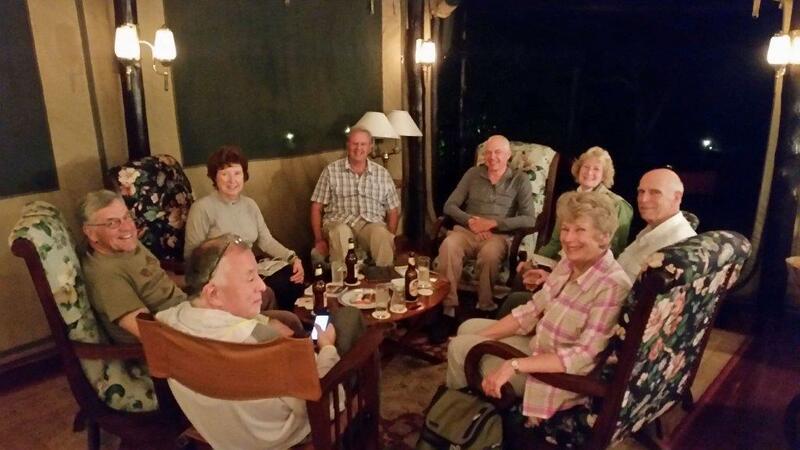 Day 5: Serengeti National Park to Ngorongoro Crater. Day 6: Ngorongoro Crater to Arusha to Airport.